So here is my round up of all my favourite things from the month of September and hasn't it flown by! September has officially said goodbye to those summer days and hello to the cold in a matter of seconds, which made me rush out to buy a winter coat as I was totally not prepared for it. September has been crazy busy for me, it was my 21st birthday at the beginning of the month which was the cause of many celebrations. I moved back to university to start my third and final year, this also meant that I had to move house which was quite stressful and I also got myself little job. It is also the month I wrote my very first blog post! So here we go. I bought these boots after my birthday from Bank. I already owned a pair of cut out boots before but I bought them from the internet, obviously buying shoes off the internet means you can not try them before you buy, they were too high and not wide enough so my feet was hanging out the side. I never ended up sending them back either, silly me, so moral of this story is never buy shoes off the internet! However, these are just perfect, the day I bought them there was 20% off in store meaning they only cost me £30 which I think is such a bargain for shoes like this. They are extremely comfy and have worn them all day walking around in town and not had any trouble at all or the feeling of wanting to rip them off my feet, which is a common problem I have with boots. I wear them all the time and just adore them. 2. 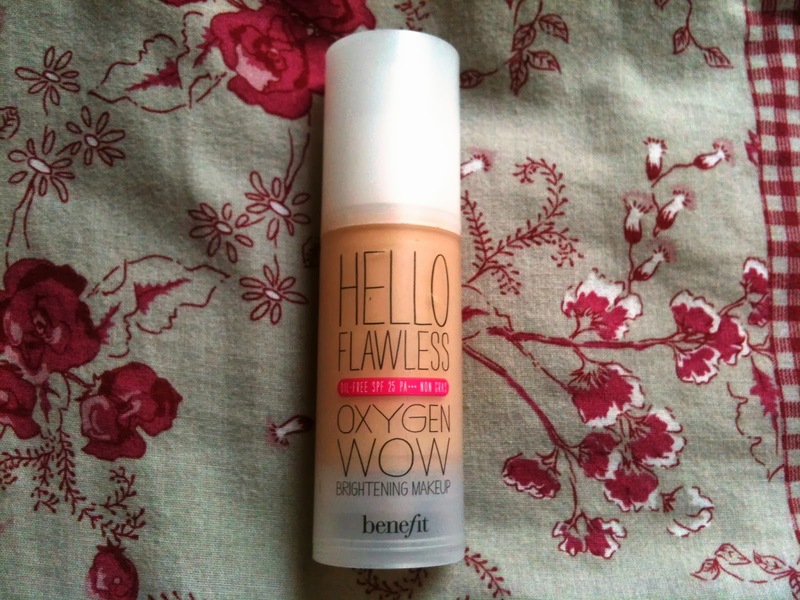 Benefit, hello flawless foundation. For a while now I have been using the No7 Stay Perfect liquid foundation, I really enjoyed using this foundation, but the colour match was slightly off, so thought I could do with branching out and trying something new. There has been a lot of hype around this product so was expecting big things and I was not disappointed. It gives great coverage, a little bit goes a long way and lasts literally all day. The colour matches my skin perfectly and is so easy to blend in with a brush, it doesn't make my skin look cakey or streaky in the slightest. I'm glad I finally worked up the courage to try something different and can tell this might be one of my favourites for a while. Over the last few weeks, whilst waiting for my housemates to move into my house, I have spent quite a lot of my time on Netflix. I love Netflix and whenever I need something to watch I find something on there no problem. This month I have been watching a lot of White Collar and Vampire Diaries. White Collar is about a conman who is hired by the FBI to catch other criminals who commit crimes of a similar nature. I realize there are so many crime dramas out there, but the characters are so lovable and the story lines are so smart, I can't wait to get stuck into the next series. I am a big fan of The OC and One Tree Hill but since these finished a long time ago, I had a teen tv drama shaped hole in my heart. I wasn't interested in this when it first came out as vampire storylines are not really my thing, however, seeing as there are three seasons on Netflix I thought I'd give it a second chance and so far I am really loving it. What have been some of your favourite things this month?